The 500 Startups Accelerator is currently accepting applications for its 4-month seed (Batch 22) programme in San Francisco, California. Mentorship: Access to the 500 Partners, seasoned entrepreneurs, experienced investors, or individuals with considerable expertise in their field to give feedback and offer you guidance. There will also be numerous talks and fireside chats by speakers including top domain experts on important topics such as distribution, design, data, fundraising, and more. Access to the 500 Family - the 500 Startups network which consists of over 1000 company founders and over 200 mentors who come from diverse backgrounds, areas of expertise, and locations. Help with Distribution and growth tactics such as trigger emails, event-based analytics, SEO and paid ads. 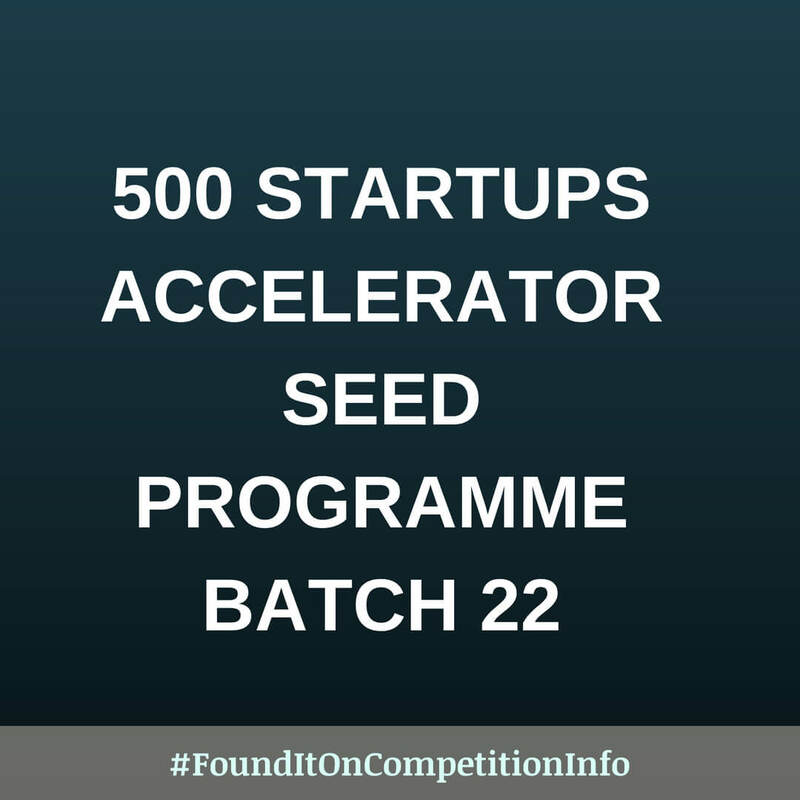 Brand and PR: 500 Startups is ranked as one of the top 5 accelerator programmes worldwide and organises events and conferences throughout the year that are consistently sold out, which can provide exposure and visibility for your company. Co-working Spaces: 10,000 sq ft offices in the heart of downtown Mountain View, California, and the heart of San Francisco’s SoMa district. During the 500 Accelerator, you’ll work in either the Mountain View or San Francisco office, along with your batchmates. Batch 22 begins on July 24th in San Francisco.